August has been a massive month for BSB! First of all we’ve launched not one, but two PRIMARY CAMPAINGS – we’ve officially started supporting Escape From Tarkov, a tense and tactical FPS game where players are required to develop their PMC character and associated kit. We have also launched a support campaign for the brand new open world, persistent PvP/PvE survival game SCUM, which launched just this week! Also, as discussed with members earlier this month, this month marks the return of our popular monthly membership awards review format. We will be reviewing all members each month commending the ‘Member of the month’, making necessary grade changes, awarding all applicable accolades unlocked and generally providing an update on membership status’ – all of which will be displayed on our website! Finally, we have also reintroduced our probationary memberships – and I’m delighted to announce we already have a full squad of brand new faces and fresh “probationary” members who I’m sure will go on to become a great assets to this community! Member of the Month – Dewil . Awarded for a mixture of high activity in game, on the website and on Discord, commitment to supporting the new Tarkov campaign and helping with recruitment for this campaign! Congratulations. Kokroach and Dinger were close runners up! 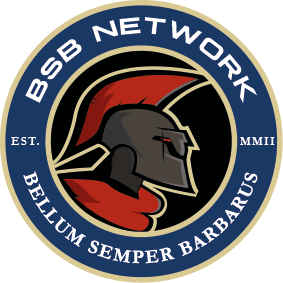 Grades: Both Omni and Dewil have been promoted to Senior Membership grades upon reaching five years of active service with BSB! Congratulations to you both and thank you for your hard work and loyalty over the years here in BSB! Two new Camapaign awards have been created for Scum & Tarkov. Kokroach, Dinger, Box & Dewil have been awarded both, BOFH has been awarded the Scum campaign award. Congratulations to all of you, all awards are available on our profile and we will be testing new membership award displays for the website/forum too to show off each members’ personal award collection. More info on this soon!